SUPER HAPPY with my new CRESTED GECKO! Ordered a tiger pinstripe hatchling crested gecko for sale.. she got here on time and in great condition very nice looking gecko 🙂 thank you cbreptile. 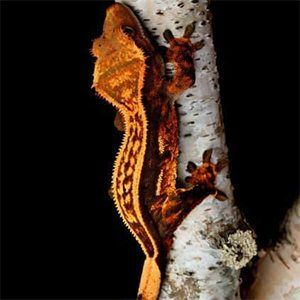 I would highly recommend cb reptile to anyone considering buying a crested gecko for sale online withou hesitation! https://www.cbreptile.com/wp-content/uploads/2018/04/pinstripe-crested-gecko.jpg 300 300 CBReptile.com https://www.cbreptile.com/wp-content/uploads/2017/07/cb-reptile-logo-v1-300x180.png CBReptile.com2018-04-10 02:39:492018-04-10 02:40:04SUPER HAPPY with my new CRESTED GECKO! The best crested geckos for sale! My Panther Chameleon is a cricket slayer!